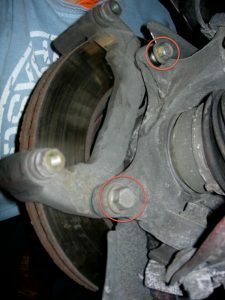 The other day, I changed Wheel Studs on my friends 2002 Toyota Camry, so here’s a little how to. 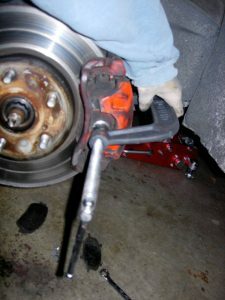 Using a Large C-Clamp , press the brake caliper back just a little. Spray WD-40 into the gap around the studs, hub, and into the small holes in between studs. Then, use a bolts that fit into the small holes (I don’t know the pitch, or size…), to push the brake rotors off the hub. Now, you can finally access to the studs. Traditionally people hammers out the old stud, but I’ve read the hammering method may damage the bearings. Instead, I’d recommend push it out. 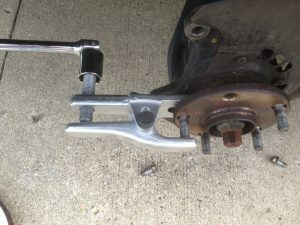 I used Ball Joint Separator (about $25). 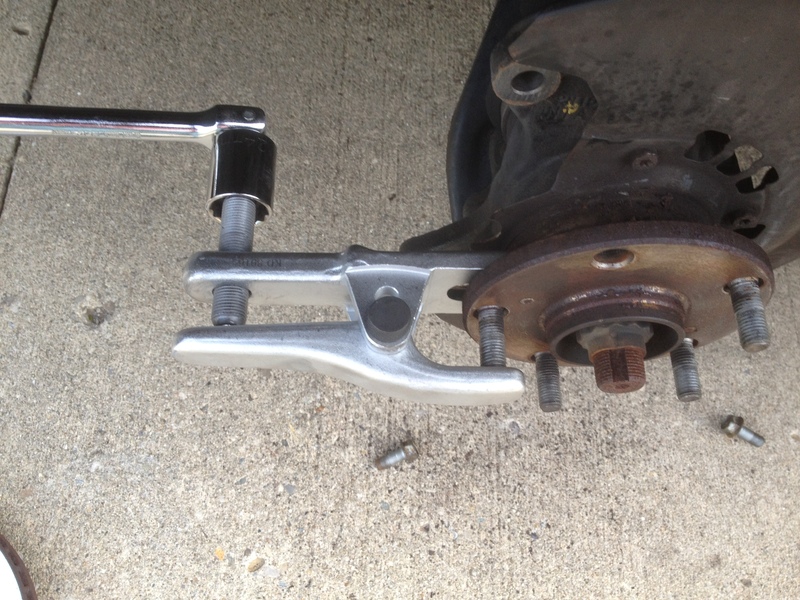 Place the ball joint separator to grab the stud and hub, then slowly press out the stud. Repeat the steps to remove all studs, then place new studs, place the ball joint separator this time to push the studs back in. 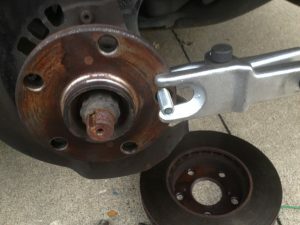 Watch the back of the hub to make sure the studs are all the way in. 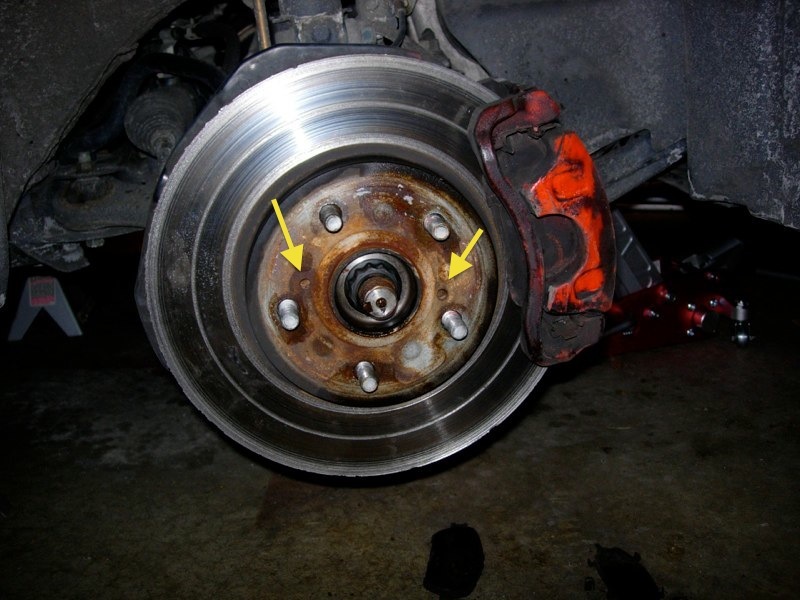 Once all studs are in, place the brake rotors (I used brake grease on hub where contacts rotor), install Caliper with two bolts, then place the wheel back on.